The story is about a king that loved chess and the sage that he challenged. To motivate the sage into playing, he offered any reward for winning. The sage simply asked for rice if he won, specifically asking the king to put a single grain of rice on one square of the chess board, to double it on the following square, then continue doubling the previous amount until the board was full. Upon losing the match, the king grabbed a bag of rice and began filling the chessboard in only to learn after a number of squares that he can no longer continue. While it didn't sound like a lot, he would eventually have to put over 18 quintillion grains of rice down, which he couldn't. He had emptied not only his stores but the homes of the entire kingdom. 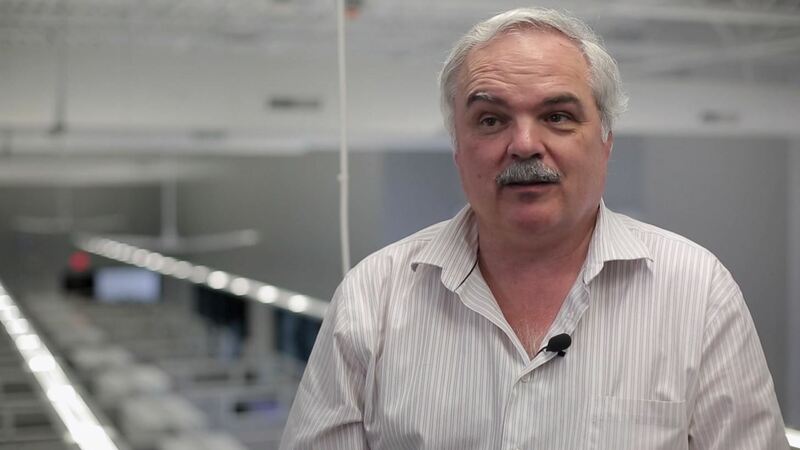 This ancient wisdom about exponential growth is how Paul Travers, CEO and founder of the smartglasses hardware company Vuzix, sees the upcoming technology boom. Along with much of the current analysis backing up his instincts on the matter comes nearly 25 years of experience in the wearable display field. I have been following the work of Travers and Vuzix since 2008 or so after I became aware of the possibility of augmented reality as a somewhat immersive social computing platform — a form of computing that was much more than just playing with the Layar browser on my HTC G1. At the time, Vuzix had not moved into the augmented reality space quite yet, selling personal video viewing headsets at the time. But I do remember seeing — as I continued to follow them — the press release for one of their first AR smartglasses — Wrap 920AR — and getting really excited, knowing the world I was imagining was on its way here. I recently had a chance to sit down with Paul Travers and talk about his background and how he sees this technology moving. Little did I know, until that conversation, that Paul Travers' time in the head-mounted display space goes back farther than the mid-'00s. Much farther. I used to work at Eastman Kodak, in the research labs there. Building 81. They had the kind of budgets that Google has today in comparison for R&D. One of the biggest R&D budgets on the planet — a lot of people don't realize that. We were making multi-megapixel cameras, platinum silicide night vision systems, all this digital replacement for film. Because they didn't want to hurt their film business they would never bring any of it to market. 'Your happy paying me to shelve stuff?' — So after 5 years, I left. After leaving Eastman Kodak, Travers started a new business called Forte Sound. Any old school PC gamers out there, much like myself, will remember the Gravis UltraSound sound card. It was a very popular alternative in the mid-'90s to the ever-present Soundblasters that flooded the market. Travers was directly involved in the creation of that classic piece of computing history. Much to the chagrin of my father in law, I started a business in the basement with $15,000 in my pocket, making sound cards for the PC. I sold that to a company called Advanced Gravis. They were shipping a quarter of a million joysticks a month. I partnered with Grant (Russell), he was the president of the company at the time. We licensed all of that to Advanced Micro Devices. Then I started a universal serial bus connectivity company (Etek Labs). And while I was doing the USB company — this was just the beginnings of USB — I wanted to make a VR company then. So we defined this spec for human interface devices, gloves, and vests, all these things where you are playing and you get shot and you can feel it. So the hid-class spec, the human interface device class spec, Microsoft and Intel adopted from my company. And then I sold that company to Belkin. Then in 1993, I started a virtual rea1ity head mounted display company. 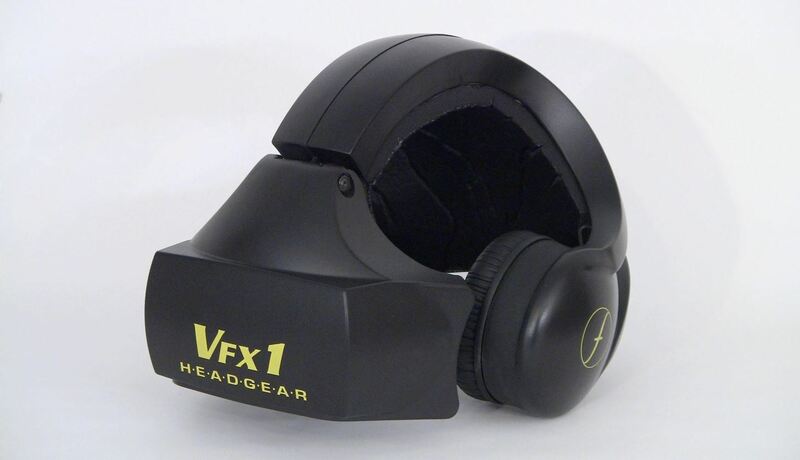 The first product we made was called VFX -1. In the early days of first wave virtual reality (the early to mid-'90s), it was really expensive to get going. I remember reading issues of Mondo 2000 and really wanting to get involved. But the prices I saw back then were $10,000 plus to get started. Too bad Travers did not have the marketing reach that he does now, because the VFX-1 was only about $600 back then, and I so would have bought one. Even without my help, Forte Technology had a good deal of success with the VFX-1, selling $5 million to $6 million worth in their first quarter. "If you can't wear it, you've already lost." In 1997 Travers started what is now known as Vuzix under the name Interactive Imaging Systems. In the beginning, IIS was primarily doing work for military applications, specifically night vision systems. In 2001, the company released its first commercial product, the iCOM personal internet browser. After rebranding for a short time under the name Icuiti in 2005 and releasing the V920 Video Eyeware, in 2007, Travers and company became what we know today as Vuzix. While continuing their line of personal video displays, they also began moving into a new space. Using a pass-through camera and an occluded eyewear set, they created their first augmented reality wearable in 2010 under the name STAR-1200. Fast forward to 2017, where Moore's law has made many of the technological elements of creating eyewear even smaller, more affordable, and easier to access. Vuzix now has a collection of options for both consumers as well as the adventurous enterprise. As are many in the augmented reality space, Vuzix seems to be primarily focused on the enterprise experience. With products like the M300 hands-free monocular smartglasses, Vuzix aims to help companies improve their workflow and better the performance of their employees overall. When I asked Travers what level of productivity increases the Vuzix research teams are encountering — citing the 34% increase that has been reported in some cases — Travers brought up an interesting point that seems potentially even more important to an enterprise. In some cases, they [technicians] can do things they couldn't do before. You ship out a tractor and there is something wrong with it when it gets on site. The only way to fix it is to send the expert that knows the damn tractor out to fix it. They are looking at bundling glasses with every single one now so the technician that works on the tractor normally can get help in the field without sending the expert. There are not that many experts. It just makes everything happen so much easier. That is not to say that Travers and the rest of his team have forgotten about the entertainment and general needs of the average consumer. While smartglasses definitely have more utility than the VR headsets that Travers created oh so many years ago, models coming in the future like the Blade 3000 or AR 3000 smartglasses show that Vuzix aims to take on every segment they can. As consumers become even more aware of the technology and the potential it holds, and as the exponential growth continues and the chessboard is filled in further, I do not doubt that Paul Travers and the Vuzix team will be right there pushing the technology to new places — and unlike the king in the story, doing their part to make sure the growth gets to that very last square. Next Reality's 50 People to Watch in Augmented and Mixed Reality is a collection of the people that are doing their part to make a difference in the augmented and mixed reality space. We here at Next Reality want to celebrate and bring awareness to these select people and the efforts they put forth.